If you follow my Food I’ve Made Pinterest board, you know that I recently made a batch of my High Protein Energy balls. I hadn’t made them in a while since it’d been so long since I could eat peanuts or tree nuts. They were eaten up so quickly I had to make a second batch a few days later. As I put the second batch in the freezer to firm up, I thought of how nice it would be to bake them instead in these cold winter months. I had no idea how they would turn out, but I decided to give it a try. Wow! These little cookies are incredible. I didn’t change the recipe much; I swapped the sweetener from honey to maple syrup and added a bit more to elevate these to cookie level. I love the depth of flavor the maple syrup adds. The rest I left the same. Which means these are cookies with chickpeas as the star ingredient. Don’t let that scare you. You can’t taste the chickpeas at all. They give these cookies a surprisingly great texture. They cook firm on the outside and are doughy, not dry on the inside. 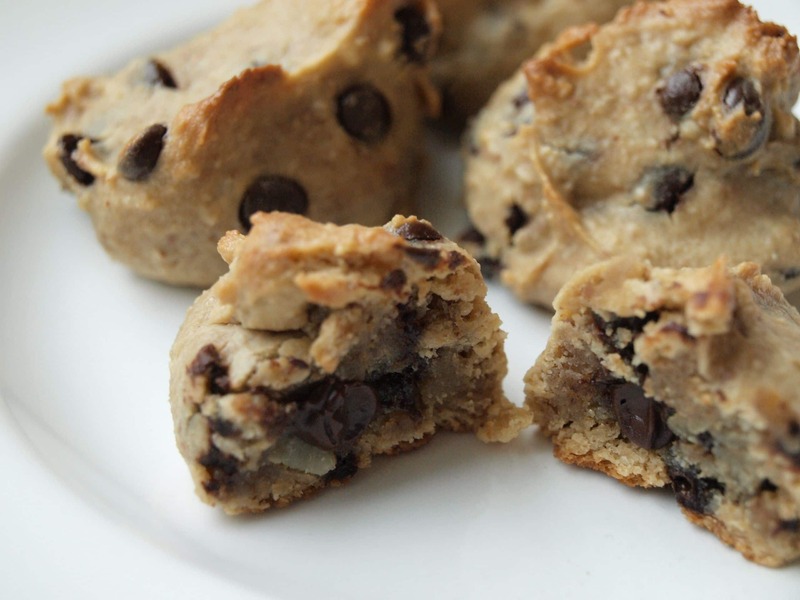 These are like heaven straight out of the oven with the melty chocolate chips. I worried that they wouldn’t be as good when they cooled off, but they are great at room temperature, too. 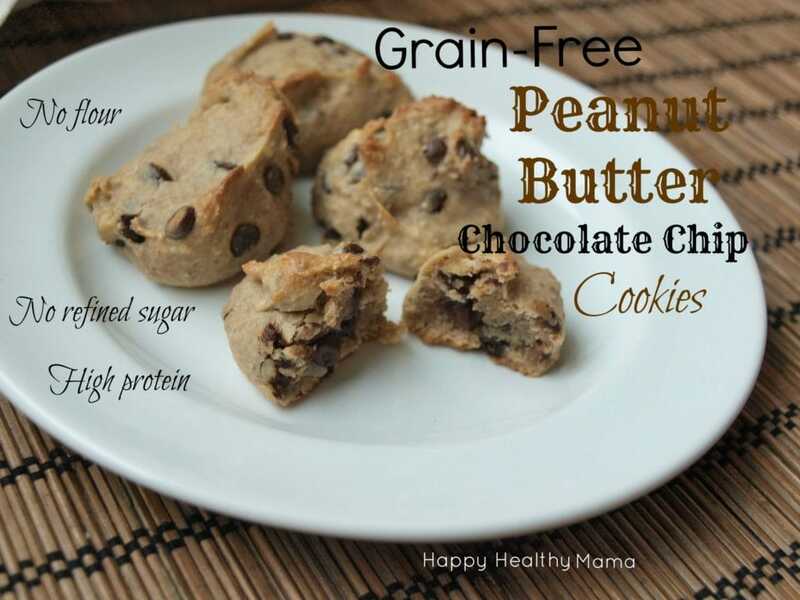 If you are looking for a healthy cookie recipe, these are perfect. Made with no flour, no butter, no oil, and no refined sugar, they are filled with wholesome ingredients. Of course, that doesn’t mean you should eat seven of them in one sitting. Not that I would know about that. These are totally addicting. Consider yourself warned. 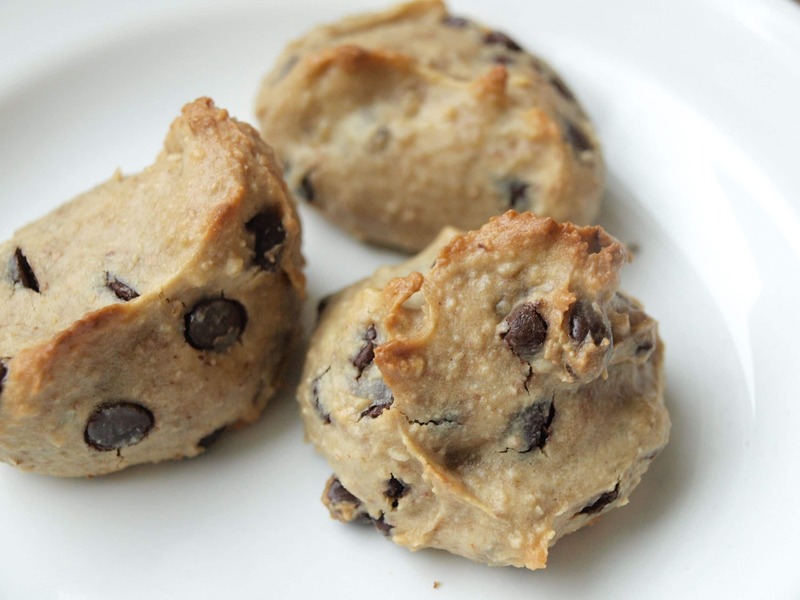 These grain-free, vegan cookies are made with a surprising ingredient: chickpeas! No one will ever know they are eating a healthy cookie. Put all ingredients except chocolate chips in a food processor and process until you have a smooth mixture. Remove the blade and stir in the chocolate chips. Drop by the tablespoon full onto the cookie sheet. Bake in the preheated oven for 18-20 minutes, until lightly golden brown on the outside. I cannot wait to try these! I gotta get some raw almonds and I am all set! What a great idea ;). First the best broccoli salad I’ve ever tasted and now vegan cookies! I love you dearly. Making these for dessert tonight!! Thank you!!!! You are too sweet. I hope you enjoy(ed) the cookies! These look wonderful! I can’t wait to make them! By the way, I just stumbled upon your blog and I love all of your recipes. I look forward to following it! I’m glad you found me. 🙂 Enjoy the cookies! These look fabulous!! I’ll have to try them both ways. 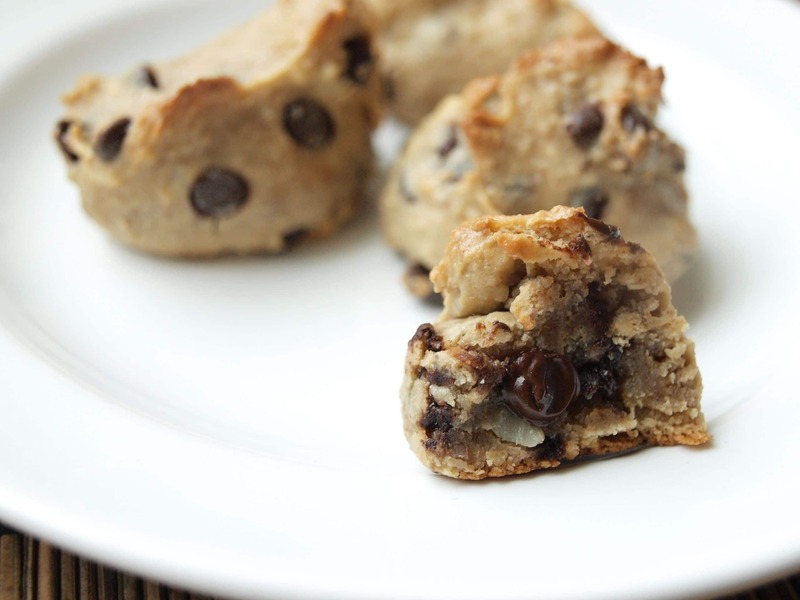 We’re going wheat free and switching over to real sweeteners so this recipe looks perfect! The cookies are in the oven right now. 🙂 It was hard not to eat all the cookie dough ! We have a Vitamix but really need to purchase a food processor with recipes like this. The blade just gets in the way. What food processor do you recommend ? Thanks for all the wonderful recipes! Hi Tee–I hope you enjoy these. They’ve been a big hit over here! These are ridiculous! I could eat them all! And this coming from a former sugar/flour addict! Sooooo good M! Glad you like them! 🙂 Thanks for letting me know. Oooh, the insides of these really got me, they look almost gooey. Yum! I can hardly believe how few ingredients are in them too! I’ve made these twice already, and they are AMAZING!!! Did the almonds have skin on them or not? Yes, they did have the skin on them. I made half a batch of these goodies today and they turned out divine! I used coconut sugar with a bit of water instead of maple syrup which worked like a charm. Thanks for the great recipe! Can I sub another nut butter? And which would you recommend. Almond butter would be great. If you need it nut-free, sunflower seed butter would work, also. Let me know what you try! I ended up using sunflower seed butter and then added some thinly sliced almonds during the addition of the chocolate chip process. I was unable to trick my husband and very picky 4 year old 🙁 Although they didn’t detect chickpeas 🙂 My youngest, myself and my parents who share my diet rather enjoyed them though! It’s so tough, I would love to get my family off of the immense amount of soy that is in almost everything they eat and get them on track to a healthier lifestyle; eating habits, as said there is no fooling them. My daughter will basically only eat, P.B sandwiches, I tried fooling her with sunflower butter, no go. She eats grilled cheese, chicken nuggets ( Have tried home made with no success to her pickiness) and she loves butter noodles with a sprinkle of cheese. Yes she will est broccoli and eats some fruit but that about where it ends. Any ideas? Hi…thanks to Pinterest, I can reach your blog. I am in Indonesia and chickpea is not very common here. Do you think it will taste the same if I substitute with mung bean? or maybe you have other suggestion for substitute? I think any white bean that isn’t too strong-tasting will work. Rinse the beans very well and it should be good. Please let me know if you try it! My partner and I can’t stop eating them!! They’re absolutely delicious. 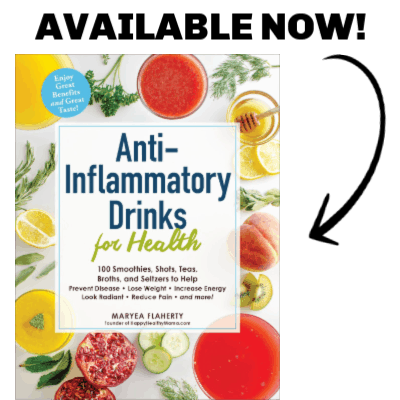 Thanks for the recipe Maryea! The cookies are SO delicious, my partner and I can’t stop eating them!! What’s the calorie count for each if it makes 36?? Hi Becky! I’m working on updating as many of my older recipes as I can with nutritional data. These have 77 calories each. Check out the post for all of the nutritional stats! I just made these last night and they are delicious! You are right–totally addicting. When my 13 year-old son looked at the recpie he thought it was a waste of chocolate chips to put them in a recipe with chickpeas but once he tried them he admitted they are awesome! Thanks!